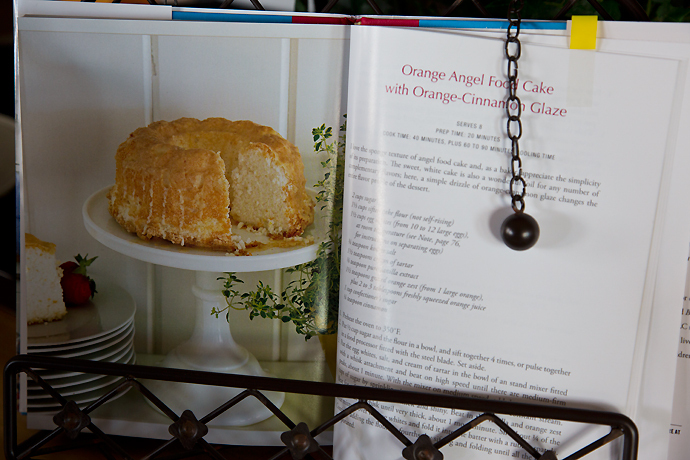 Orange Angel Food Cake with Orange-Cinnamon Glaze and Giveaway winner! Wondering what to cook for your famiglia tonight? Cake from the CAKE BOSS. Did you know he’s a great Cook . . . beyond his Bakery? Buddy Valastro has a fabulous new Cookbook . . . just released! It’s 100 of Buddy’s delicious, essential Italian – American Recipes from his grandmother’s secret dishes, to his own personal specialties, he makes for his children. This book is filled with recipes and gorgeous pictures, and it was very difficult to decide what to make first. Did I want to start with stuffed artichokes or Grandma’s Sausage Lasagna or signature Chocolate Mousse? I decided on something I knew my husband would love . . . since I love him! Come on . . . I’ll walk you through it. I hope you’ve saved all your egg whites! Don’t – Don’t – Don’t – ever throw them away. Measure out your CAKE FLOUR & your sugar. Sift together the cake flour and ONLY 1/2 CUP of the sugar . . . 4 times. Plop it on a piece of parchment paper. 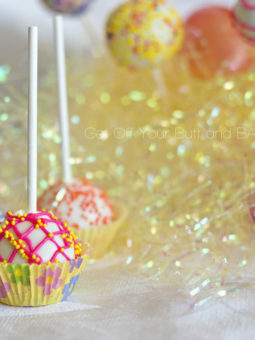 Hint: It makes it really easy to add to the bowl of your mixer! Set it aside for now. Measure 1 1/2 cups of egg whites, salt and cream of tartar. Place it in the bowl of your stand mixer fitted with a whisk attachment. Beat on HIGH speed until there are medium firm peaks – about 1 minute. With the mixer on medium speed, add the remaining 1 1/2 cups of sugar by sprinkling it over the beaten egg whites in a constant stream. Beat for a few minutes until thick and shiny. Whisk until VERY THICK . . . about 1 to 2 more minutes. Remove the bowl from the stand mixer. Grab a nice big spatula. 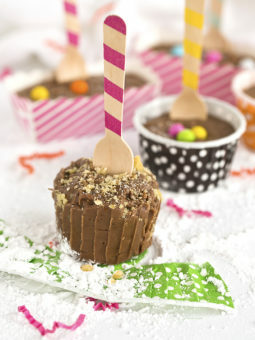 Roll up that piece of parchment paper with all your sifted Cake flour & sugar mixture. Add about 1/4 of it over the beaten egg white mixture. Fold it gently into the egg white mixture with your big spatula. Continue adding the flour by fourths, and fold gently until all the flour is incorporated. Pour the yummy batter into an UNGREASED 10 inch tube pan, smooth the top, and bake. Bake until it springs back to the touch. – About 40 to 45 minutes. I bake my pan . . . one level lower than the center of the oven. on a cooling rack until cool, 1 to 1 1/2 hours. Oh…..just look at the golden crust. It’s my favorite part. and nobody will know about it!! Once the cake is COOL . . . unmold the cake from the tube pan. 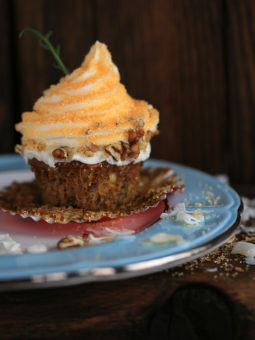 You know that orange that gave you the beautiful orange zest. 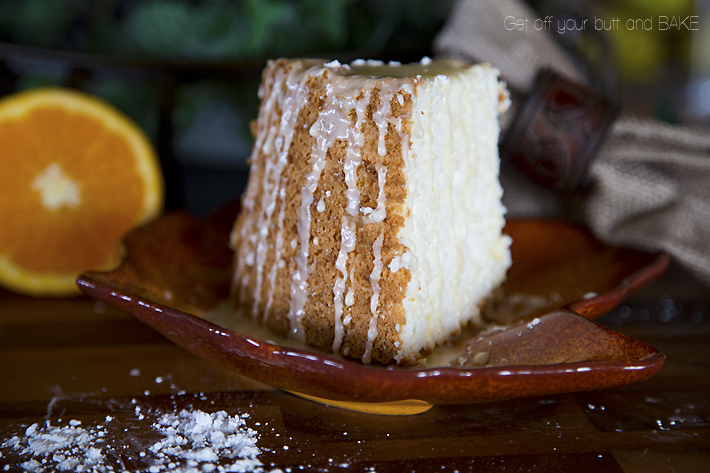 You will combine the juice from the orange and the confectioners sugar to make a nice glaze. Add the cinnamon if desired. You know the deal . . . my husband likes everything PLAIN JANE. I cut a BIG chunk . . . just for me. I drizzled that delicious Orange glaze over the top of MY CHUNK OF CAKE! I was happy . . . he was happy. CAKE BOSS . . . your new Cookbook makes me happy. Just so you know . . . if you’re gonna eat cake . . . Angel Food Cake will put the fewest calories on your hips. 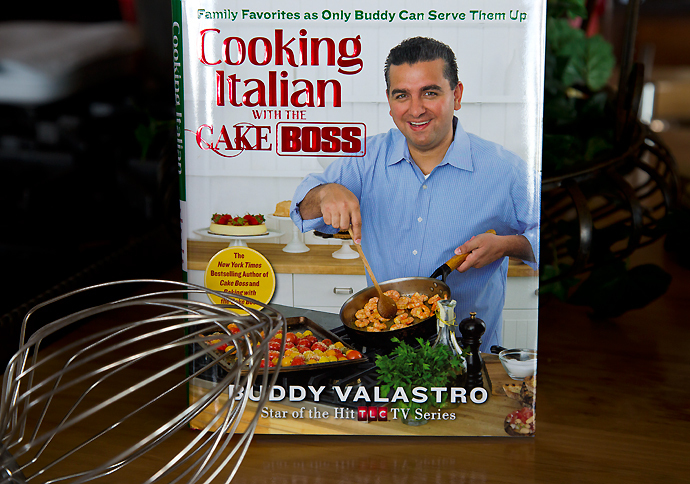 COOKING ITALIAN with the CAKE BOSS would be an excellent gift to give someone for Christmas. Remember the yummy GH CRETORS POP CORN GIVEAWAY? Our’s is ALL GONE. ugg. I know where I can get more though! well . . . we have our giveaway winner. Congratulations Tracy . . . I will be sending you an email! Dont forget . . . I’ve already posted my favorite THANKSGIVING DAY RECIPES. Put 1/2 cup sugar and the flour in a bowl, and sift together 4 times, or pulse together in a food processor fitted with the steel blade. Set aside. Put the egg whites, salt, and cream of tartar in the bowl of a stand mixer fitted with a whisk attachment and beat on high speed until there are medium-firm peaks, about 1 minute. With the mixer on medium speed, add the remaining 1 1/2 cups of sugar by sprinkling it over the beaten egg whites in a constant stream. Beat for a few minutes until thick and shiny. beat in the vanilla and orange zest and continue to whisk until very thick, about 1 minute more. Sift about 1/4 of the flour mixture over the egg whites and fold it into the batter with a rubber spatula. Continue adding the flour by fourths, by sifting and folding until all the flour is incorporated. Pour the batter into an UNGREASED 10 inch tube pan, smooth the top, and bake until it springs back to the touch, and a toothpick inserted into the center comes out clean, about 40 to 45 minutes. Remove the cake from the oven and invert the pan on a cooling rack until cool, 1 to 1 1/2 hours. While the cake is cooling, make the glaze by putting the confectioner’s sugar and orange juice in a bowl and stirring together until the sugar is dissolved and a thin, syrupy consistency is attained. Stir in the Cinnamon. Once cooled, unmold the cake from the pan and drizzle the glaze over the top, using the tines of a fork. 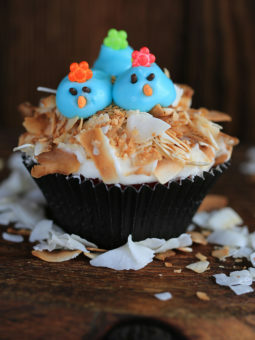 As soon as I save up 1 1/2 cups of egg whites, this is going to be on my menu. It looks so so so good. Your pan looks a lot deeper then mine. have you seen any good ones around latetly. I actually think I threw mine out because every time I tried to make an angel food cake it overflowed in my over. Hope you are loving your new mixer. It looks beautiful in pictures. I want to make the Prize winning cheesecake, but I am uncertain if I only double the recipe for the graham cracker crumb crust if using a 9×13 plan or 10.5 spring form pan, or if I double the entire recipe, cream cheesecake mixture and all. I would double the whole darn thing….crust and all!